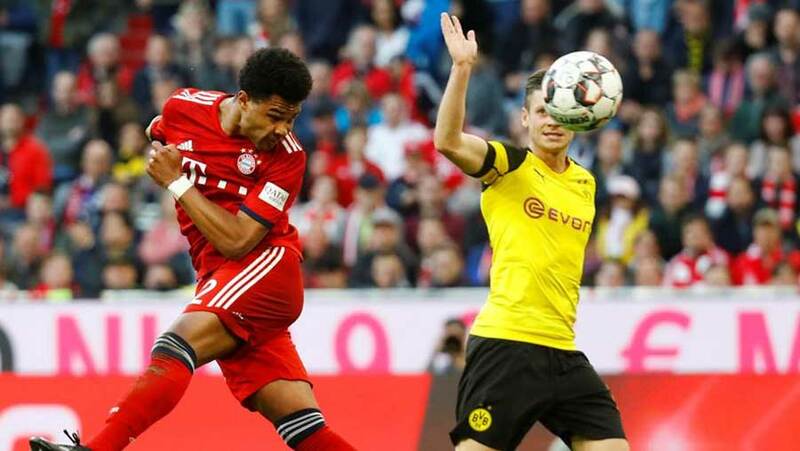 Robert Lewandowski humiliated his old club on Saturday (Apr 6) as Bayern Munich obliterated Borussia Dortmund with a scintillating 5-0 win to reclaim their spot at the top of the Bundesliga. Dortmund, who were two points clear heading into this match, were shell-shocked following a ruthless first-half display from the hosts. Goals from Robert Lewandowski, Mats Hummels, Serge Gnabry and Javi Martinez gave Bayern a 4-0 lead at half-time. Bayern are chasing a seventh consecutive Bundesliga title. In a showdown described as the "biggest in Europe this season", Dortmund's title hopes suffered a blow and extended their losing streak at the Allianz Arena to five games. At the start of December, the title race looked to be over with Dortmund nine points clear at the top, but Bayern took advantage of the stuttering form of their rivals to claw back the deficit. And as if intended as a timely reminder of Bayern's pedigree, Lewandowski became the second-fastest player to score 200 goals in the German top flight, doing so in 284 games. His Bayern side are aiming to win a 29th league title and could add the German Cup after reaching the semi-finals with a victory over second-division side Heidenheim.